File The Chief Richardville House is the oldest Native American structure in the Midwest. The Miami Tribe of Oklahoma has donated $33,000 to the History Center to pay for the restoration of the shake shingle roof of the Chief Richardville House on Bluffton Road. Miami Tribe of Oklahoma Chief Douglas Lankford said the donation was made on behalf of all citizens of the tribe to show their respect for the house, its place in history and to help the History Center sustain the house as a historic landmark. The Chief Jean Baptiste de Richardville House was built by Richardville in 1827, funded in part by the 1826 Treaty of Paradise Springs. Richardville was the Civil Chief of the Miami from 1814 until he died in 1841. The History Center has stewarded the house since 1991, and in 2004 completed a $400,000 restoration of the building. In 2012 the house became the second National Historical Landmark in Allen County. 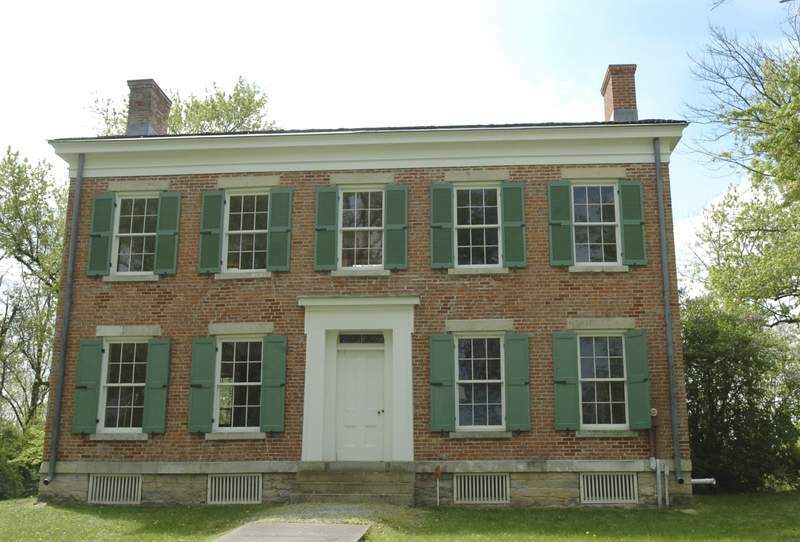 It is recognized as the oldest Native American structure in the Midwest, the first Greek revival style house in Indiana, and the only existing treaty house in the nation. The house at 5705 Bluffton Road is open to the public on the first Saturday of each month from May to November. It is available all year for private tours and rentals.